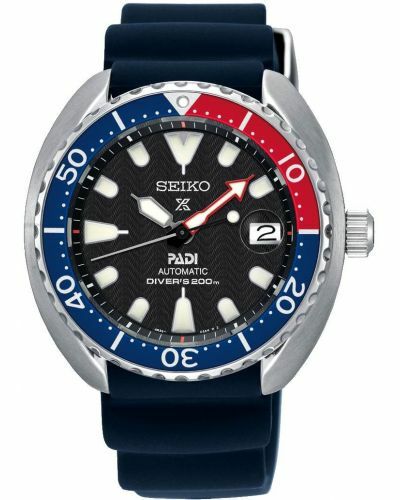 This new Prospex diver timepiece echos the design of the 1965 original, but are thoroughly up-to-date in their functions and meet Seiko’s stringent standards for diver’s watches. 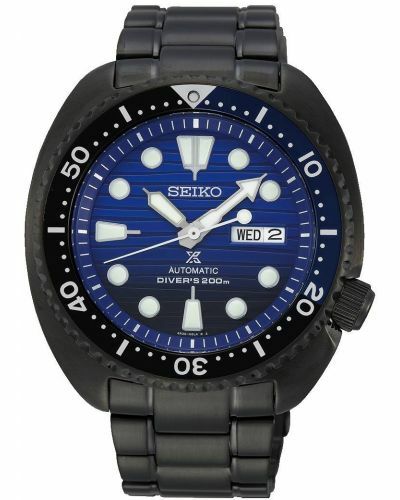 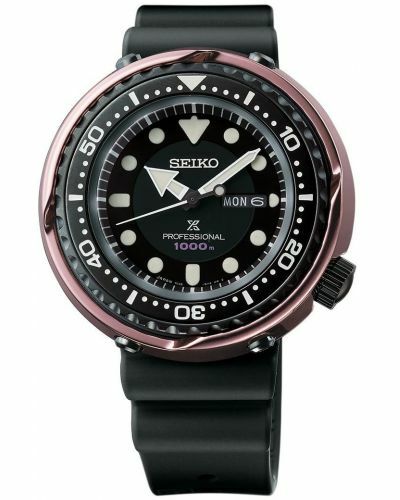 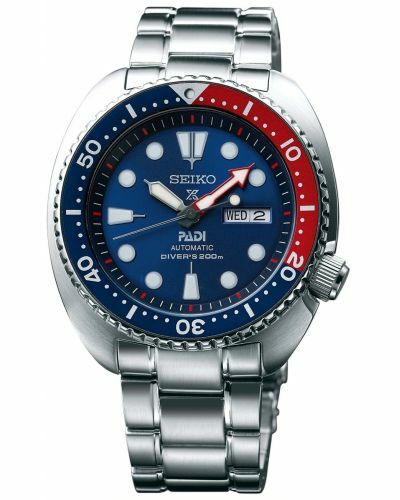 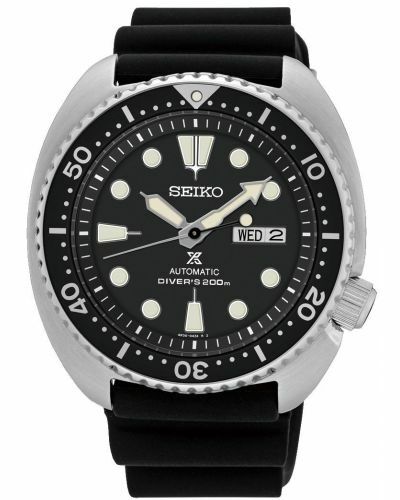 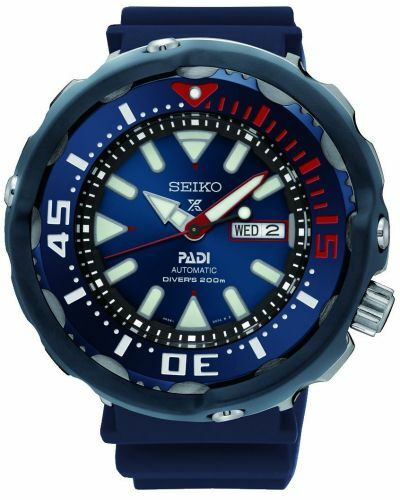 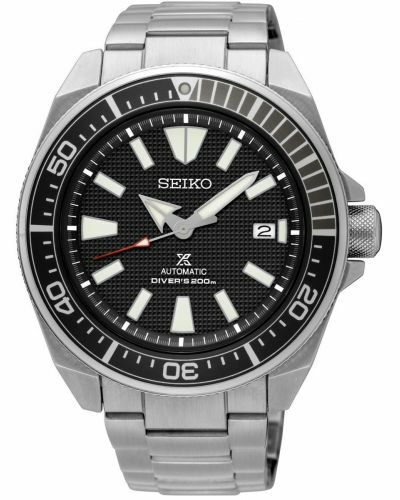 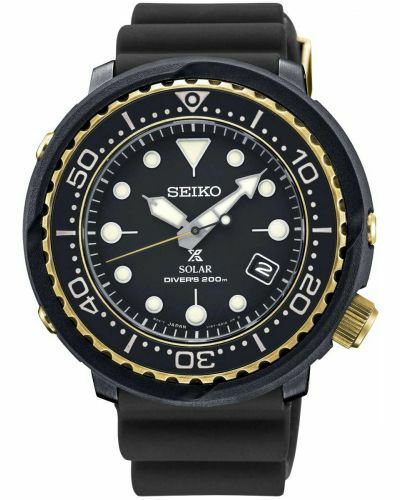 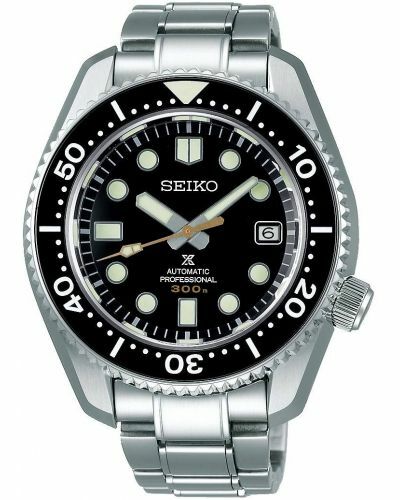 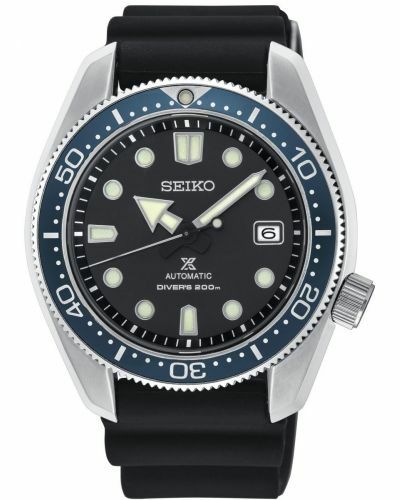 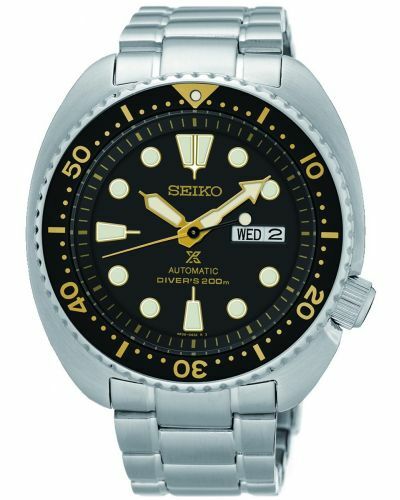 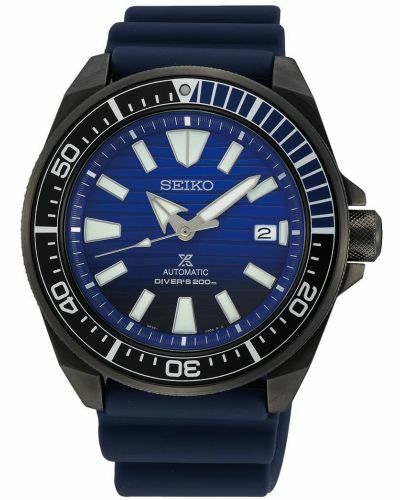 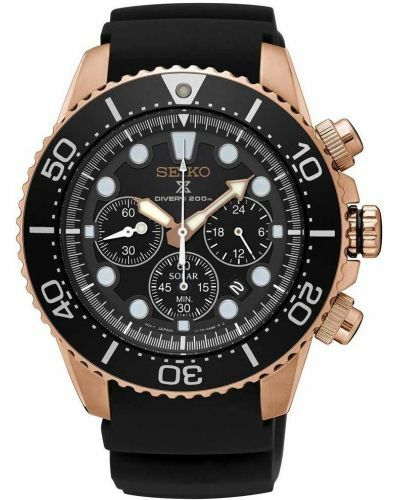 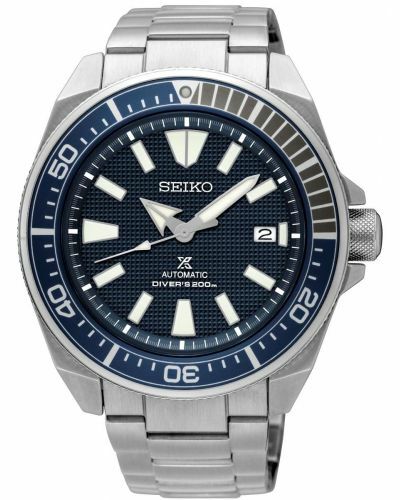 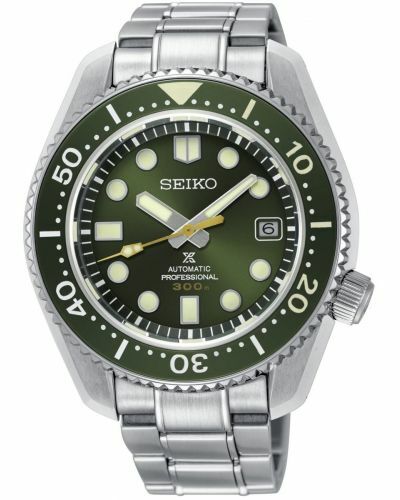 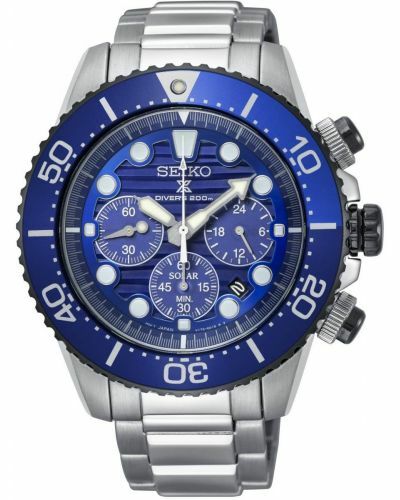 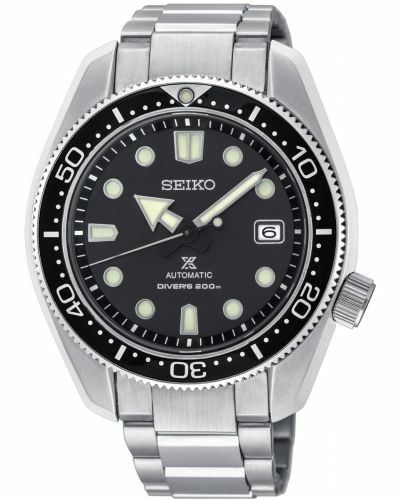 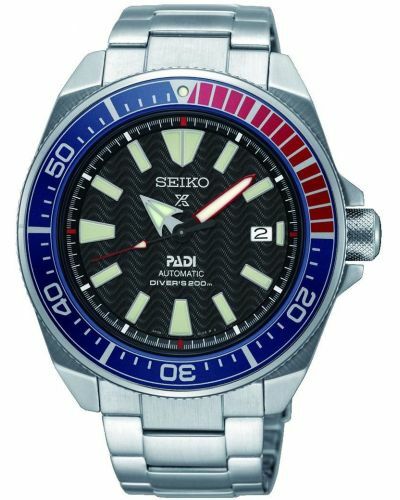 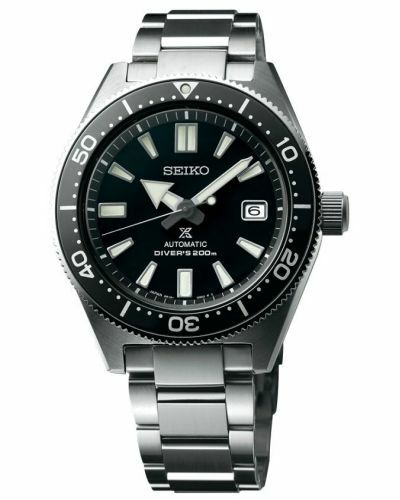 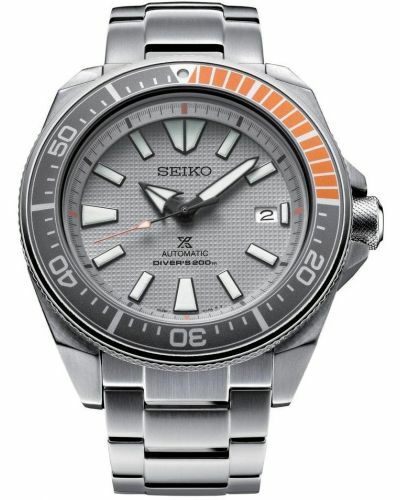 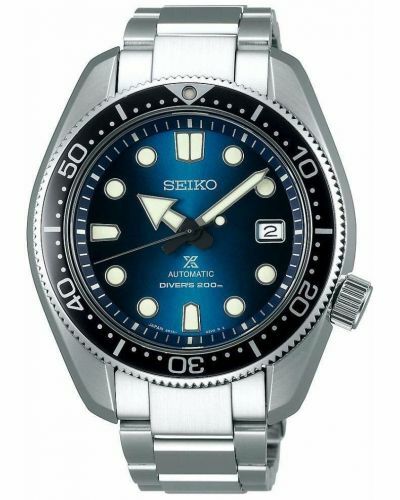 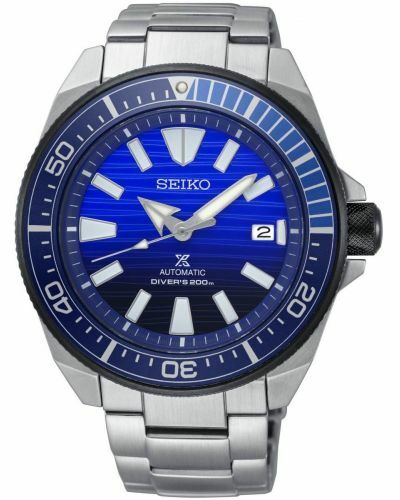 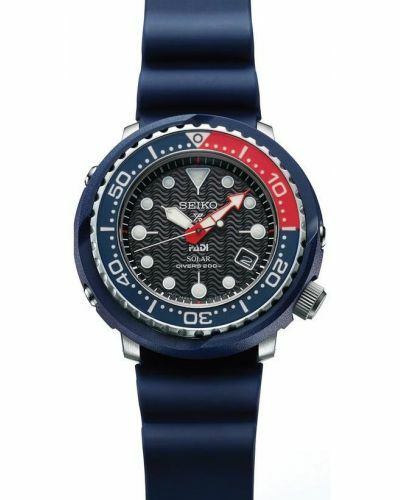 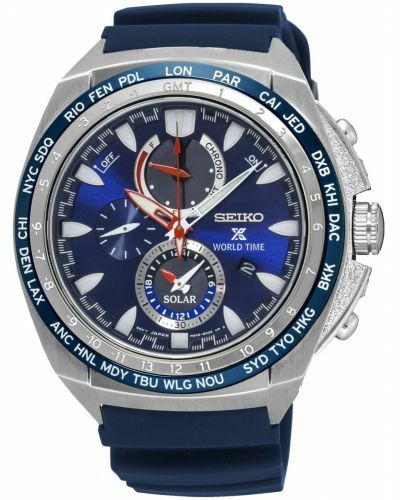 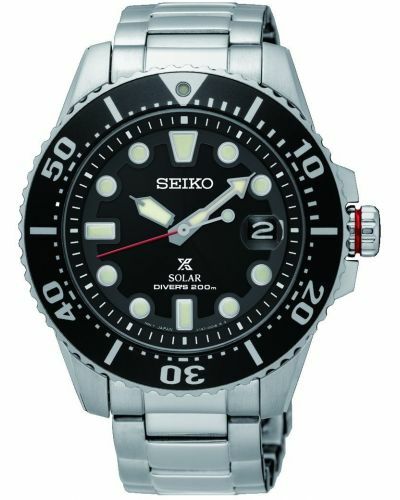 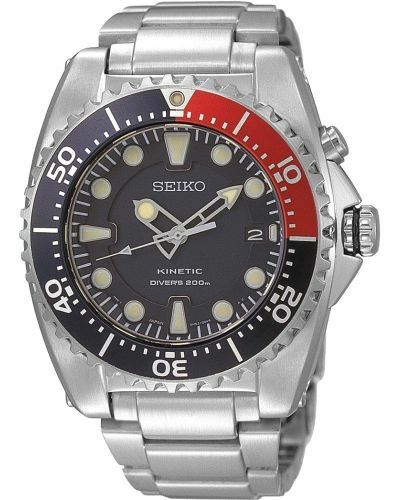 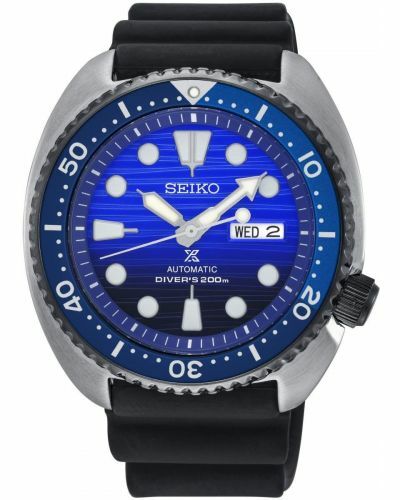 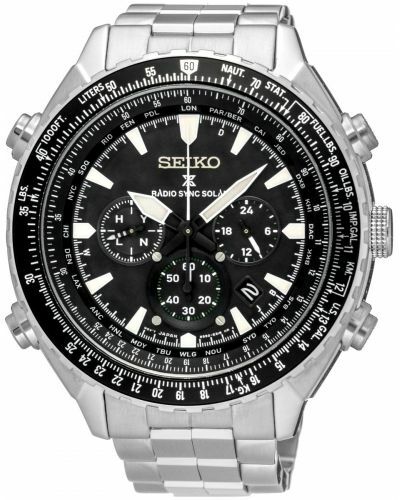 Seiko's first diver watch was made in 1965, and the brand has become synonymous with sports divers. 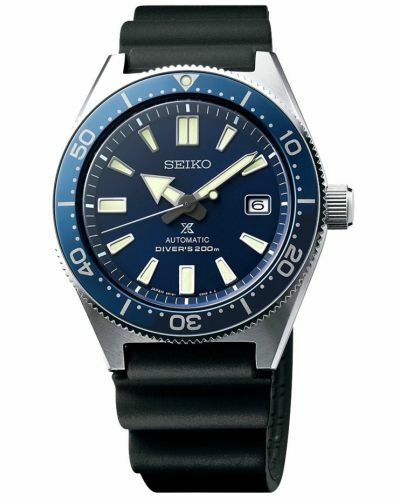 Legibility is enhanced on the graduated blue dial through wider hands and Lumibrite coating. 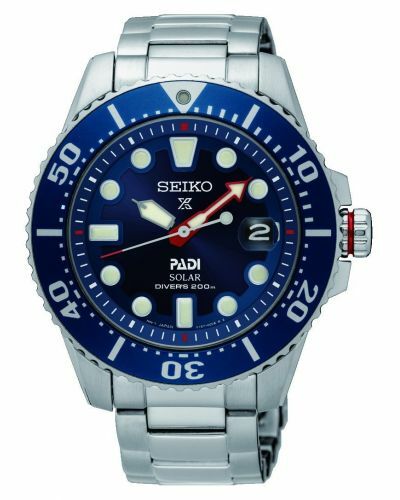 Durability is improved on this modern timepiece with a super-hard coating to the steel case. 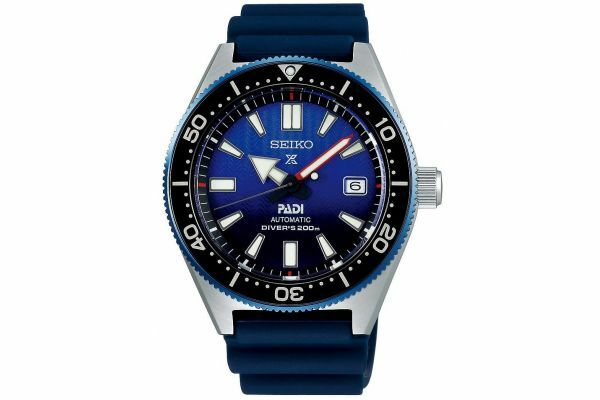 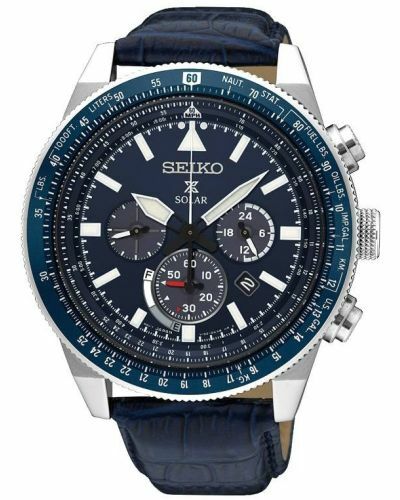 The watch is fitted with an accordion-style blue silicone strap which combines high durability and comfort.